This community has so quickly grown from just 3 of us to literally thousands and right at the centre of that growth is our rallying cry to Make Life Richer. 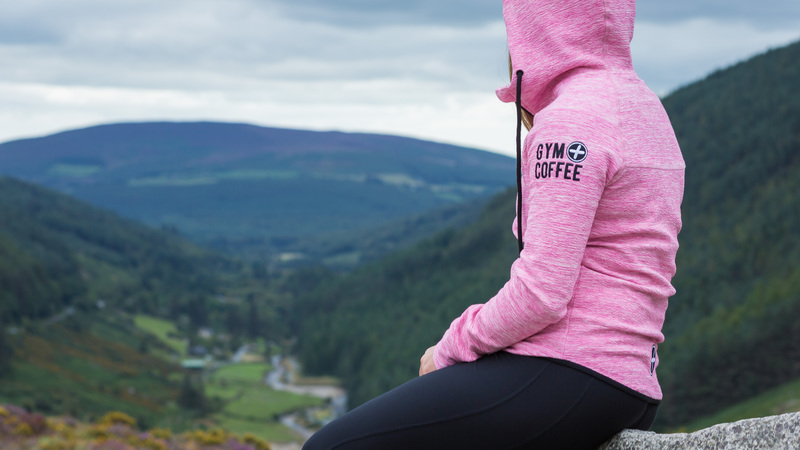 We created Gym+Coffee partly because we wanted awesome hoodies, but a lot because we wanted a crew to wear them and do amazing stuff. We figured there’d defo be a few of you out there. Turns out, there’s SO MANY OF YOU! Every morning now as part of our Make Life Richer mantra, we get up and we are ask ourselves, ‘What are you doing today?’ What wonderful thing are you going to do or be or see in order to squeeze just a little bit more out of the day? We believe in frosty morning runs and warm hoodies. We recommend devouring ice cream cones after a mountain hike. We like to leave our muddy boots on the back porch and slip inside for flat whites and stretchy leggings. Come with us on these adventures! We’d love you to become a part of our community and we’d like to become a part of yours. All three of our highly-caffeinated founders spent time abroad before returning to their roots and to an Ireland that is active, youthful, conscious and still exceptionally social (some things will never change, thank goodness). The corner cafe and Ireland’s stunning natural landscape are fast becoming the nation’s new social hubs. Our people are connecting in new ways and new places - cooler climates be damned! This mini culture shift in a country known more for its per capita beer consumption than its affinity for the outdoors led our enthusiastic leaders merrily down the athleisure path. And as our team has grown ,we haven’t looked back. Except maybe to check out our bums in a pair of Gym+Coffee leggings. Tight. Do we still like a few scoops on a sunny Sunday? Yes ma’am. Will we get up an hour early to squeeze a spin sesh in on Monday morning? No doubt. GYM = Physical activity. Getting out. Doing stuff. Experiencing. COFFEE = Social activity. Meeting mates. Having the craic. And that small but significant + in the middle brings it all together. Get out there. Do cool things. Do them with your pals and a coffee in your mitt.